With his wife gone, a rare book stolen, and both his bookstore and love of life in serious decline, only something extraordinary could alter the sagging fortunes of A. J. Fikry and Island Books. What he discovers one night among the children’s books, however, could change everything. 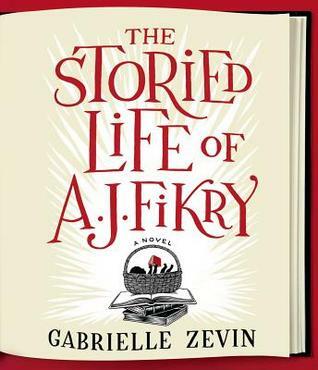 After A. J. Fikry’s wife dies in a car accident, he becomes cranky, cynical and set in his curmudgeonly ways. Together, they had opened Island Books, but now he is running the shop by himself. After a rare book is stolen, a book that he intended to use to fund his retirement, he sinks further into despair. And then the most wonderful transformation happens to A. J. when he discovers a precocious toddler – named Maya according to a note left with her – abandoned in his bookstore. This is a short book and to give away much more of the plot would ruin the delight in experiencing the story unfold. Avid readers and those in the book selling and publishing industry will enjoy the many book references. While I was listening I was smiling and nodding and laughing. The story is charming, the writing is clever and the characters are endearing. Another wonderful performance by Scott Brick. His expert narration brought the irascible A.J. to life, his voice mellowing as A.J.’s temperment begins to change and he realizes there is a lot more to life than the way he has been living. This is an engaging novel and the audio version was a delight to listen to. I’ve been wanting to read this … maybe audio with Scot Brick is the way to go. I just started this and am loving it so far! I love how A.J. somehow manages to be snarky and delightful at the same time…and I love his commentary on books and that whole world!